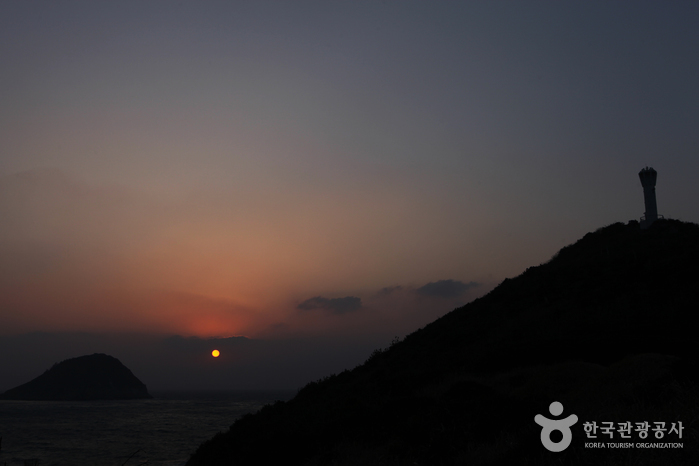 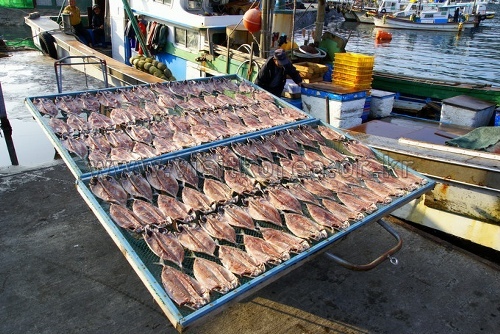 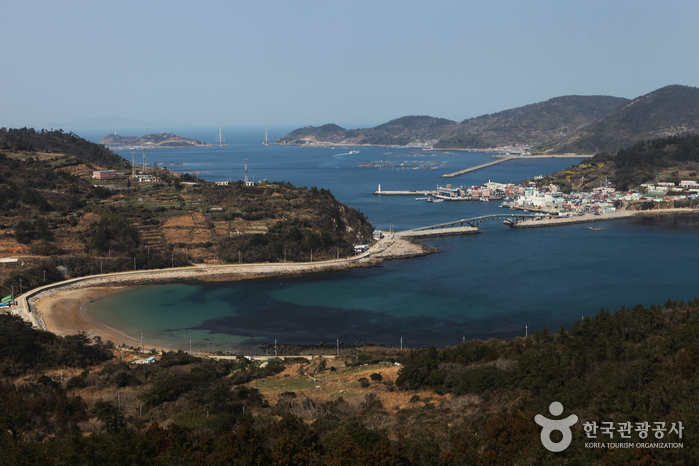 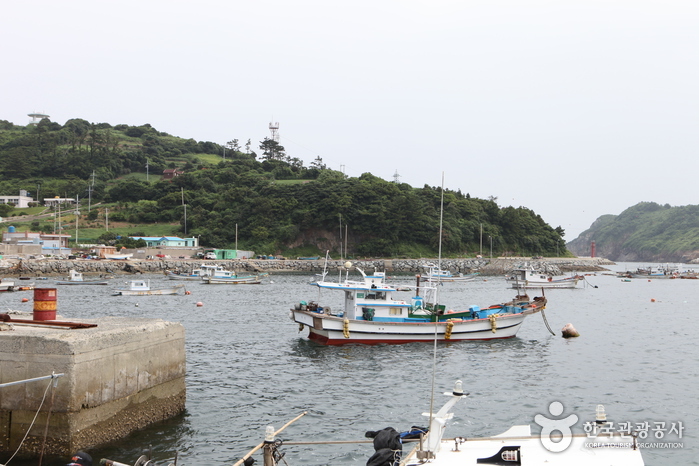 Located approximately halfway between Yeosu-si City and Jeju Island, Geomundo Island is part of the Dadohae Maritime National Park. 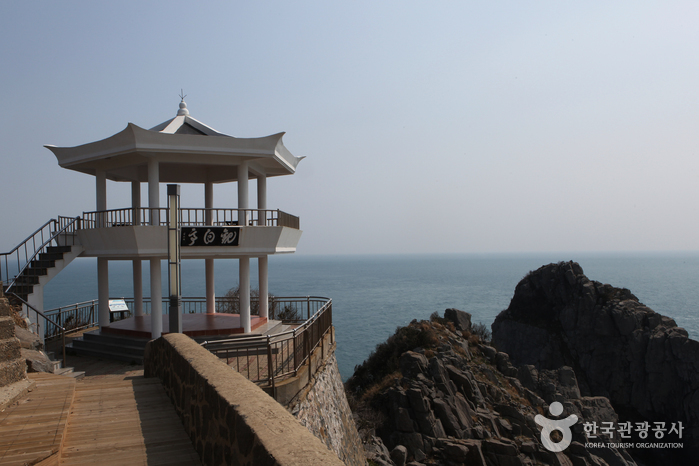 It is divided into Dongdo, Seodo, and Godo Islands, all of which offer scenic views of quaint towns and surrounding nature. 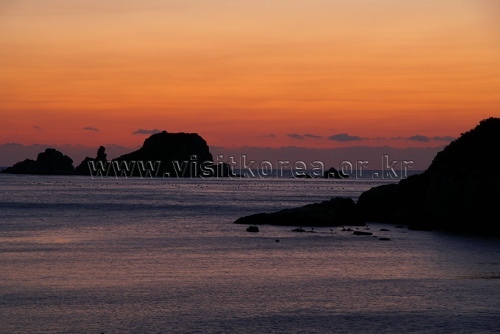 Also, Geomundo is the access point for the famous Baekdo Island group, a spectacular array of uninhabited rock pinnacles attached with numerous legends. 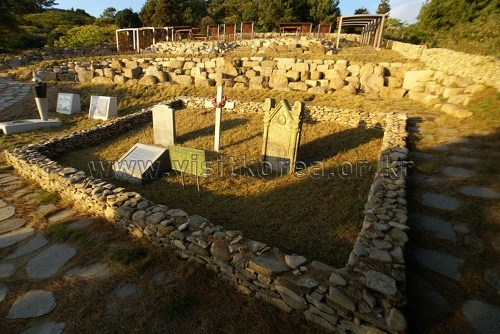 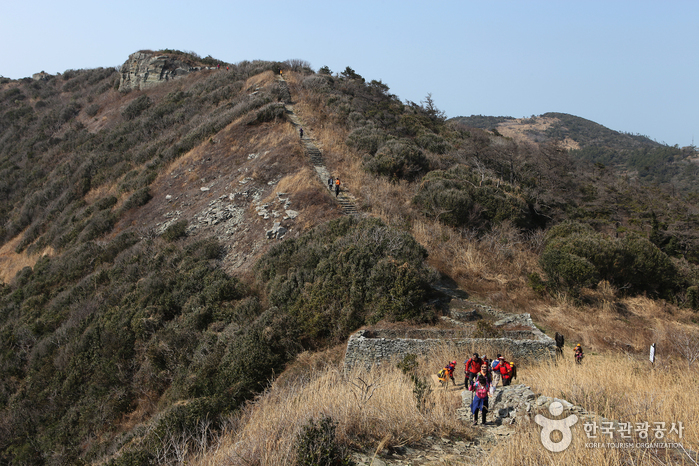 Geomundo Island's history dates back to the bronze era with the discovery of a stone sword on one of the islands. 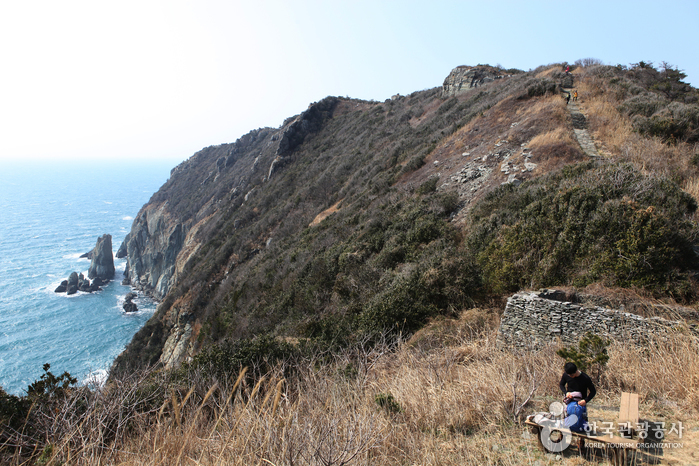 Subsequent discoveries of coins from the Han Dynasty (206BC-220AD) that were used for more than 700 years up to 621AD have also been found. 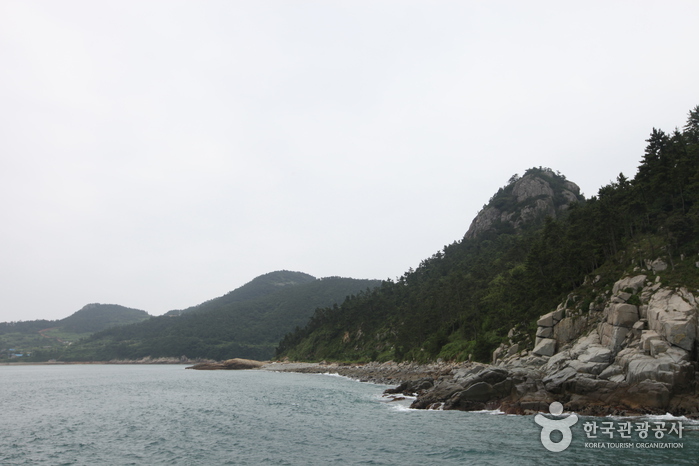 Discoveries of celadon from the Goryeo Dynasty (918-1392) have also been located on Geomundo’s islands. 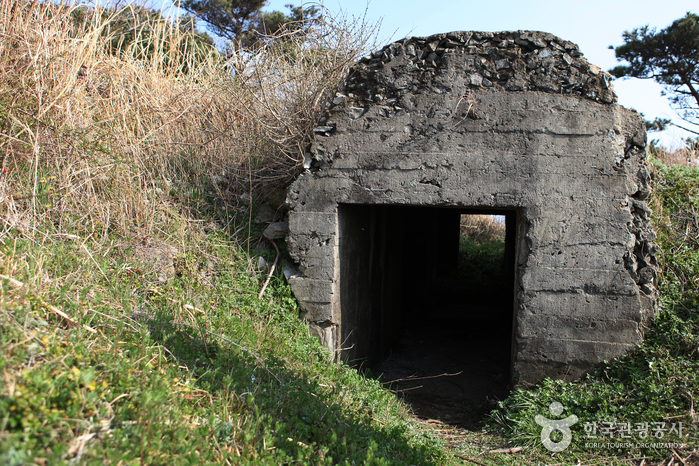 Geomundo had been commonly known as Godo until the British sailors arrived on the island in 1885, and put claim to the island in order to construct a naval port to fight off the Russian fleets. 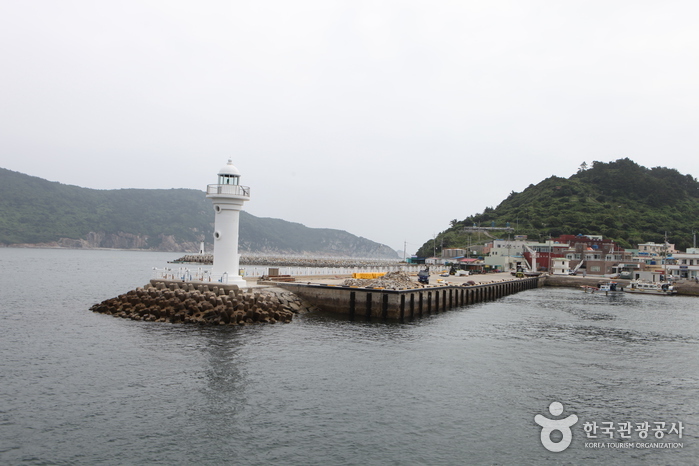 They named it Port Hamilton. 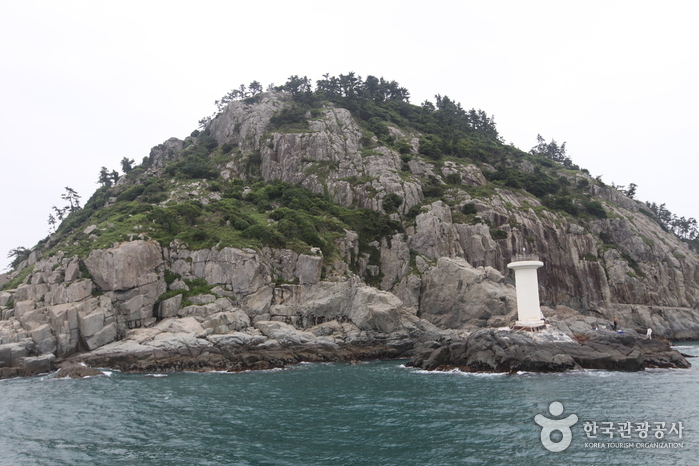 Soon, Admiral Jeong Yeochang came to Geomundo to challenge the audacity of the British, and, in turn, was struck by the high literacy level of the islanders. 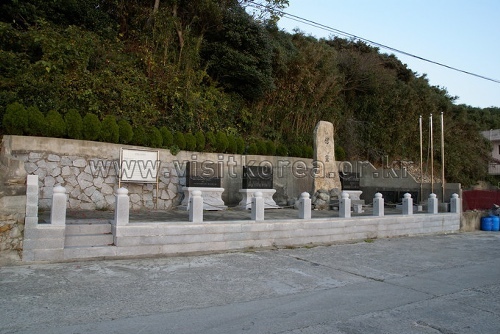 He recommended to the then ruler that the island be renamed ‘Geomun,’ meaning ‘great literacy.’ The British sailors eventually perished, but their graves can be found in a well-preserved cemetery on the island. 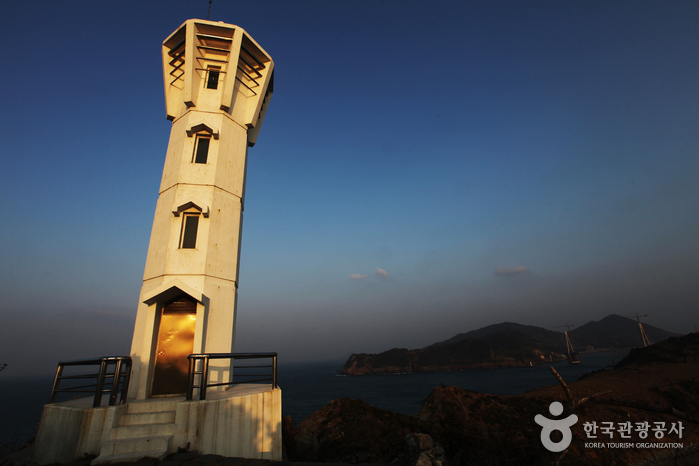 1) Geomundo Lighthouse: From Godo Island, cross Samhogyo Bridge, and head south along the Seodo Island shoreline. 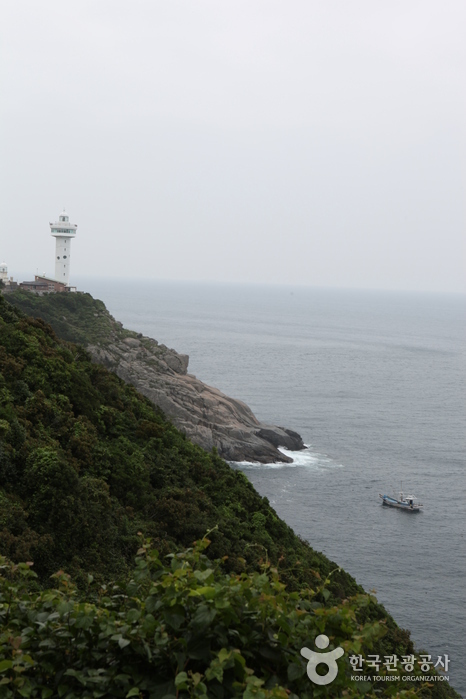 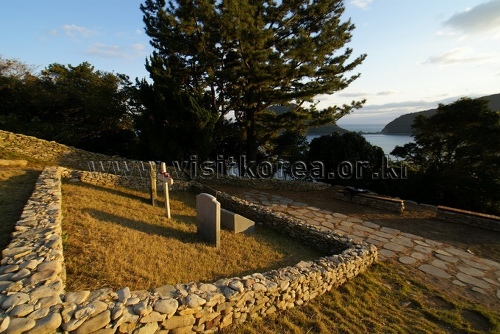 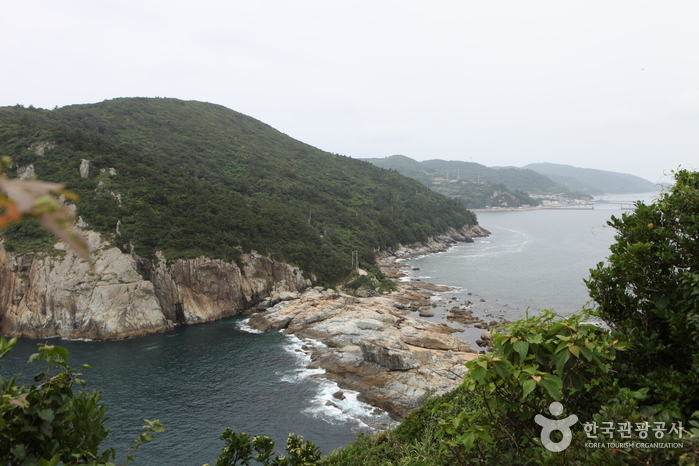 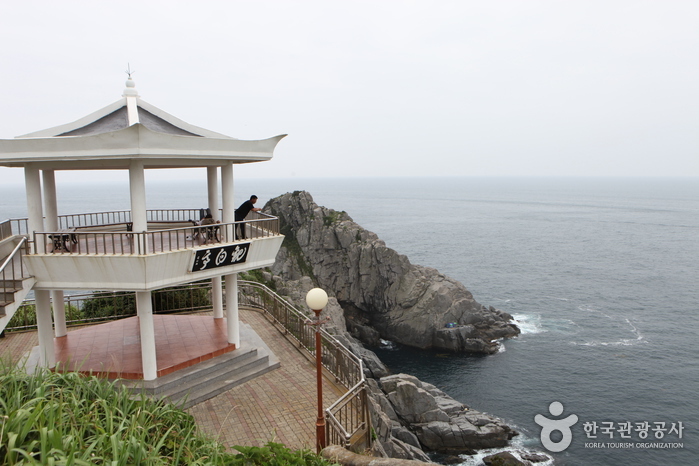 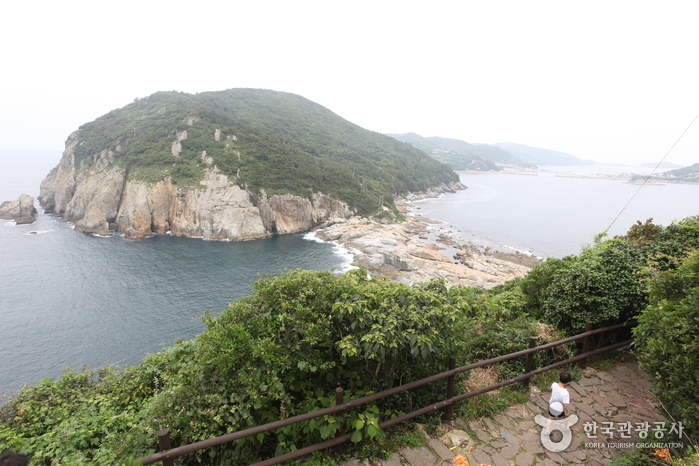 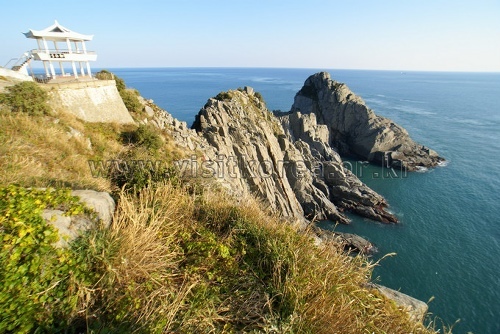 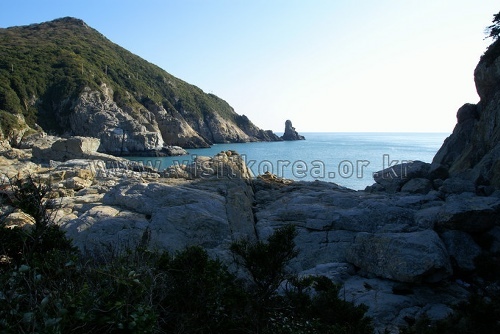 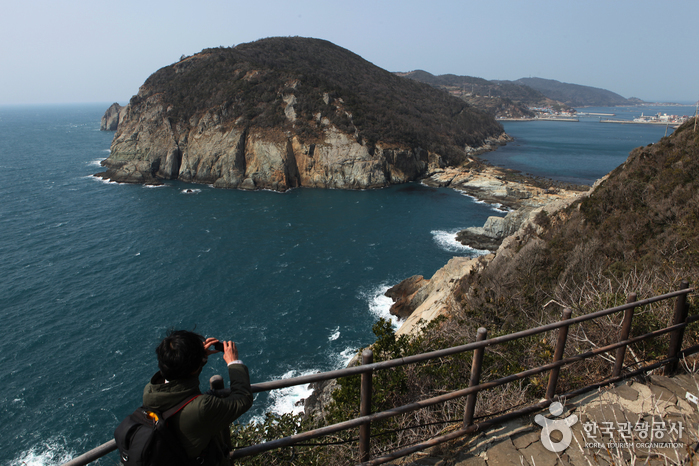 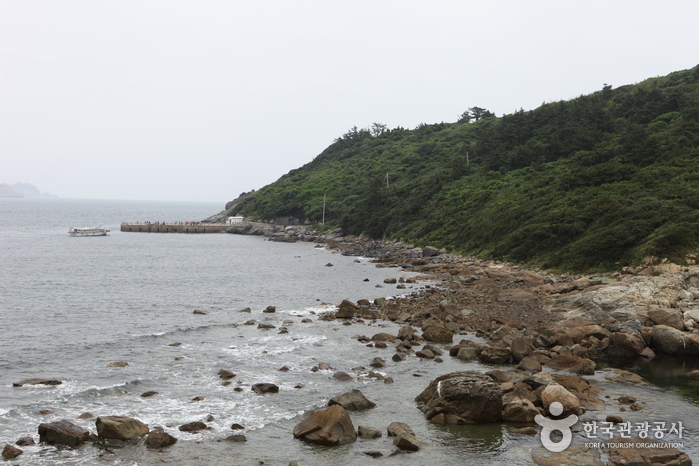 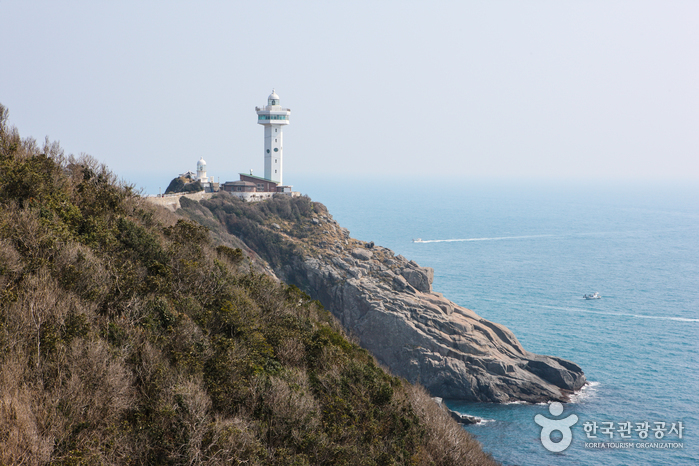 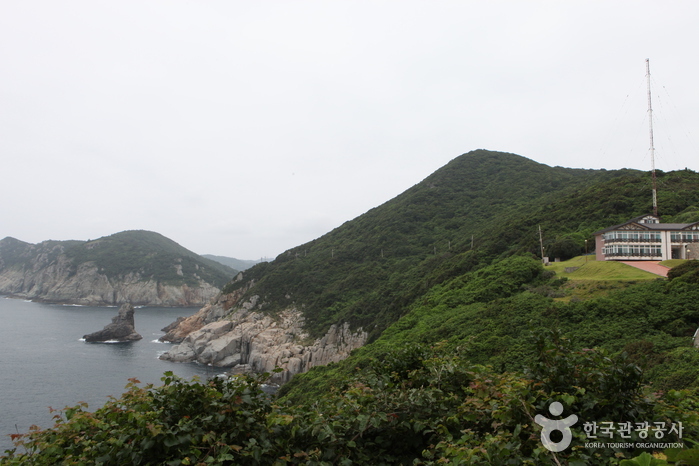 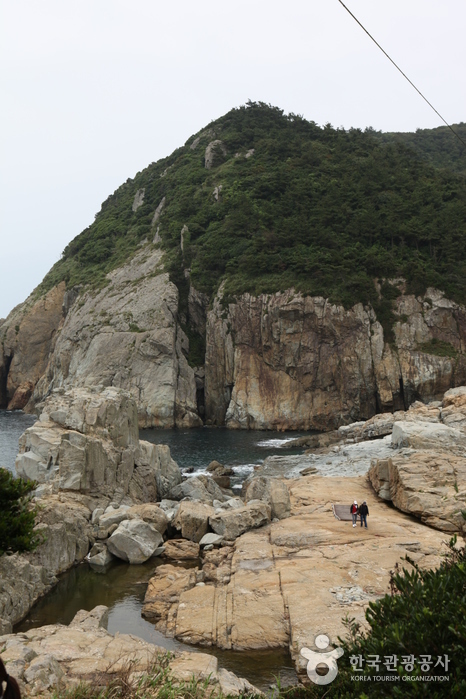 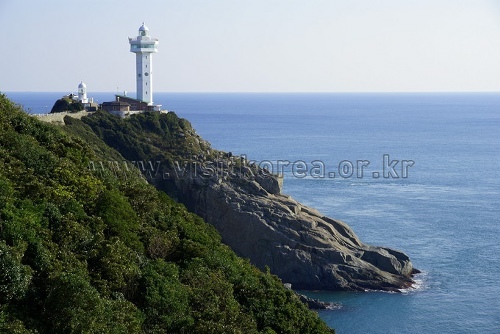 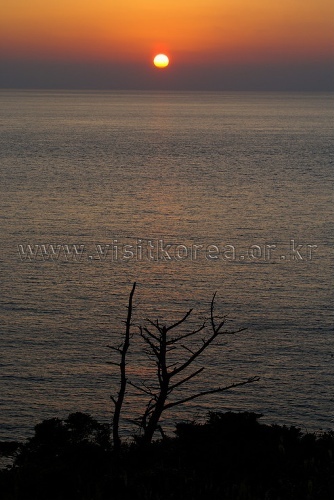 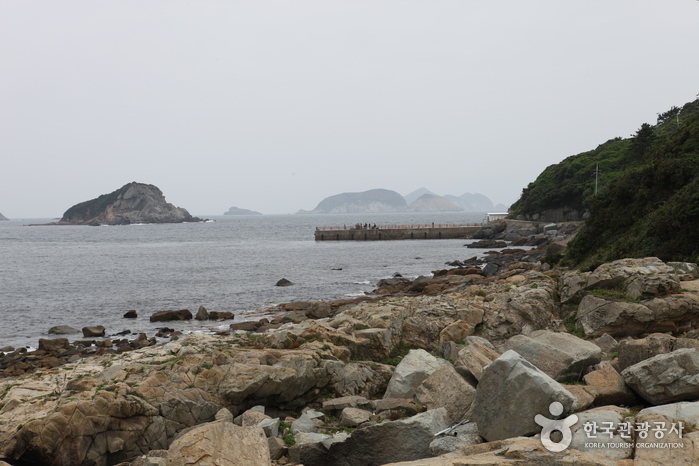 At the rocky spit that connects Seodo Island to Suwolsan Mountain, follow the evergreen forest trail for 1㎞ to arrive at Geomundo Lighthouse. 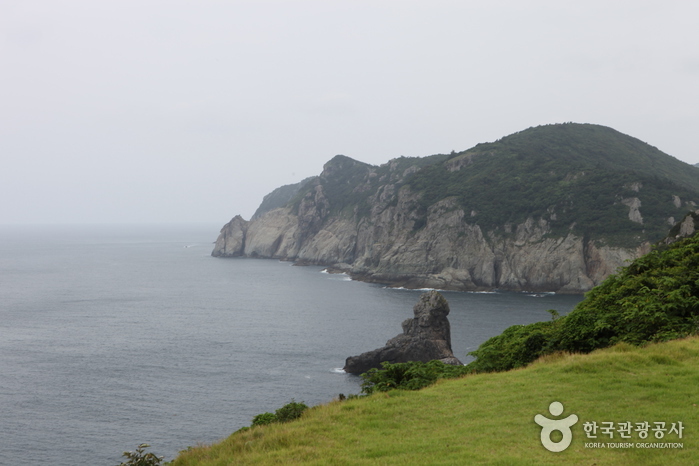 2) Borobong Peak: From Godo Island, cross Samhogyo Bridge, and head south along the Seodo Island shoreline. 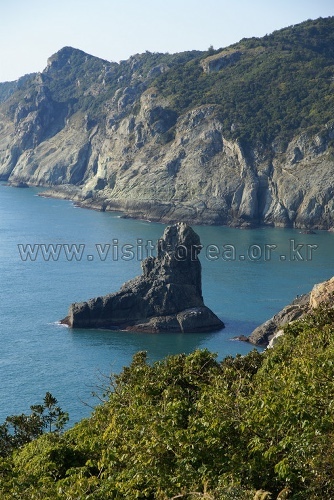 At the rocky spit that connects Seodo Island to Suwolsan Mountain, follow the mountain trail to arrive at Borobong Peak and Sinseonbawi Rock. 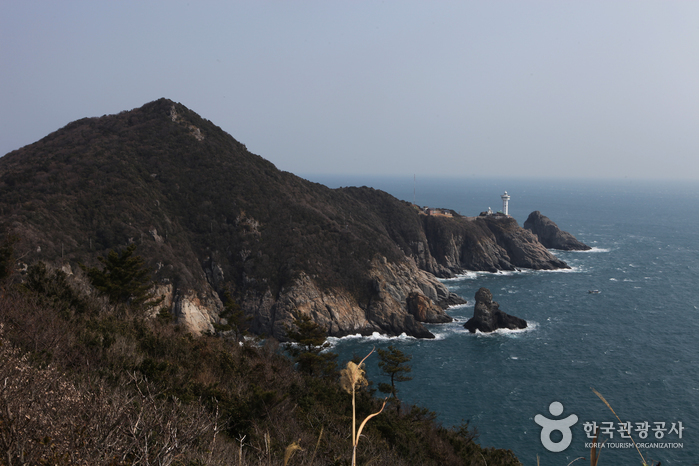 3) Noksan Lightouse: From Godo Island, cross Samhogyo Bridge, and head north along the Seodo Island shoreline. 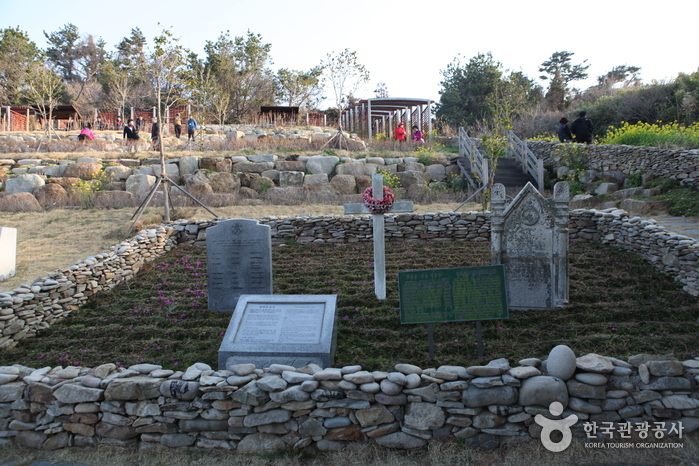 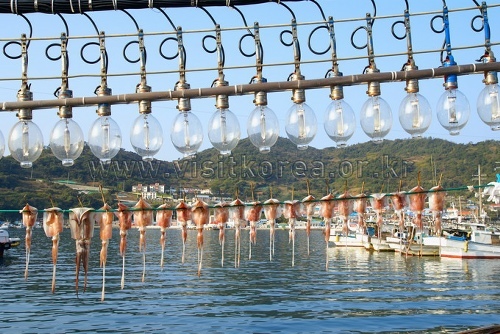 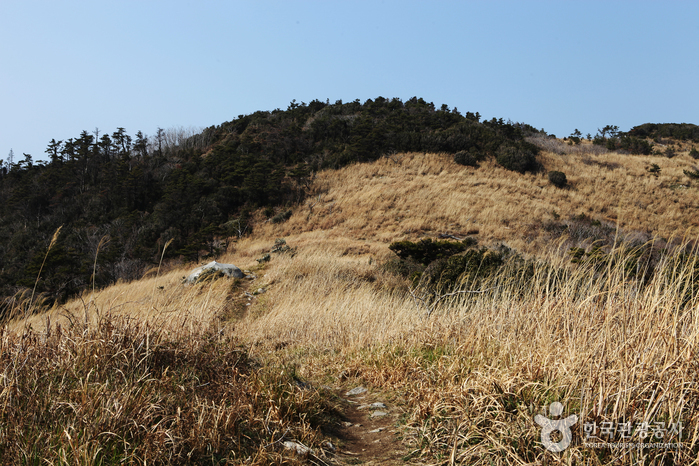 Walk for approximately 5㎞ past Deokchon-ri district, Byeonchon village, towards Seodo-ri district. 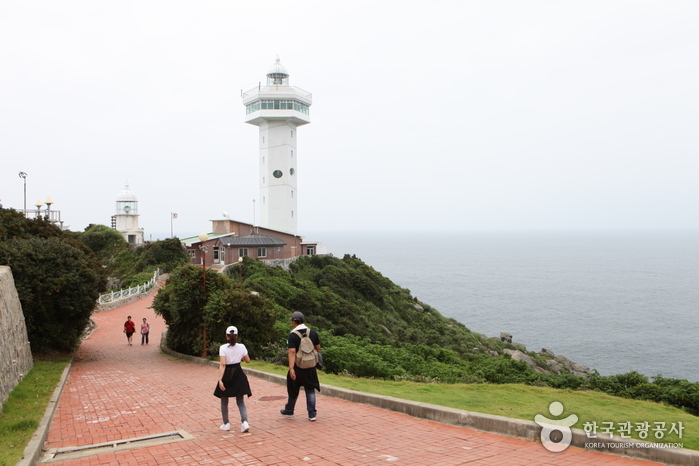 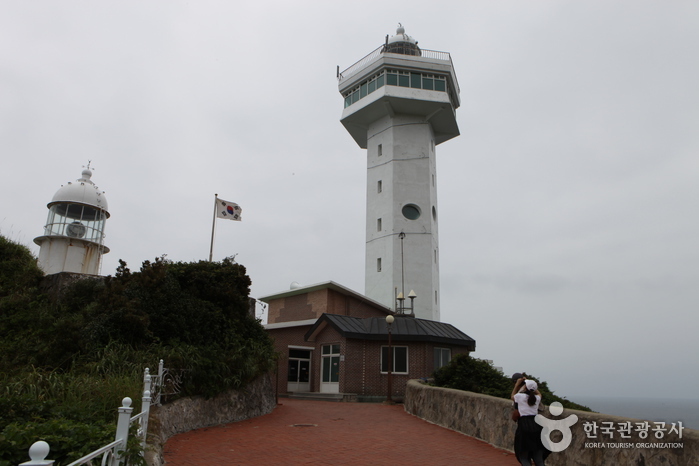 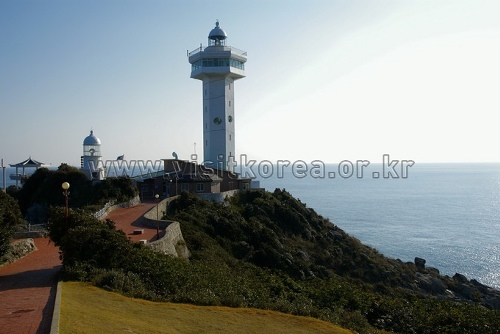 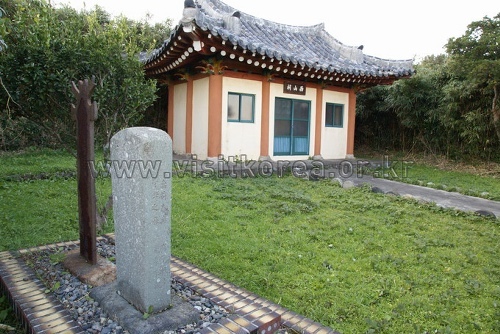 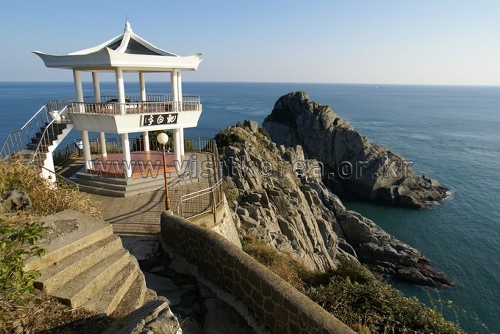 Walk to the end of the Seodo-ri district, and follow the trail behind the Geomun Elementary School - Seodo Branch (거문초등학교 서도분교장) for 1㎞ to arrive at Noksan Lighthouse. 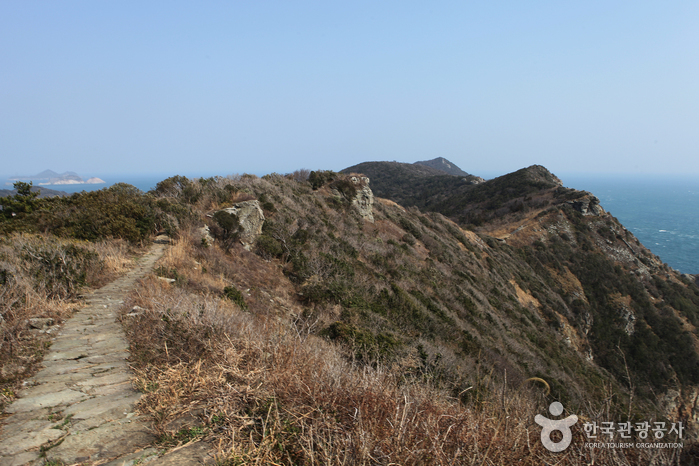 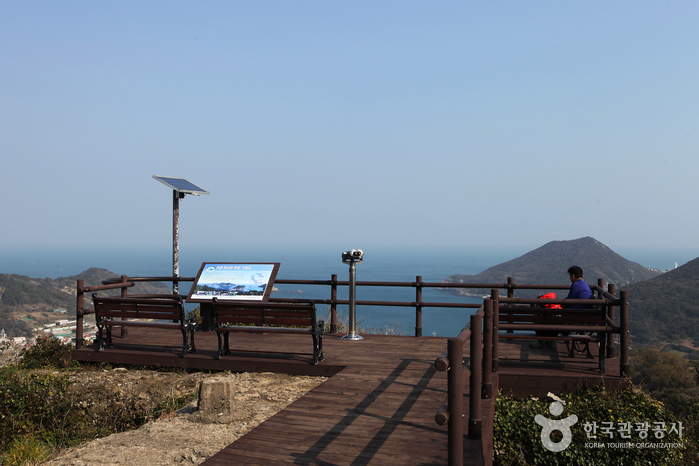 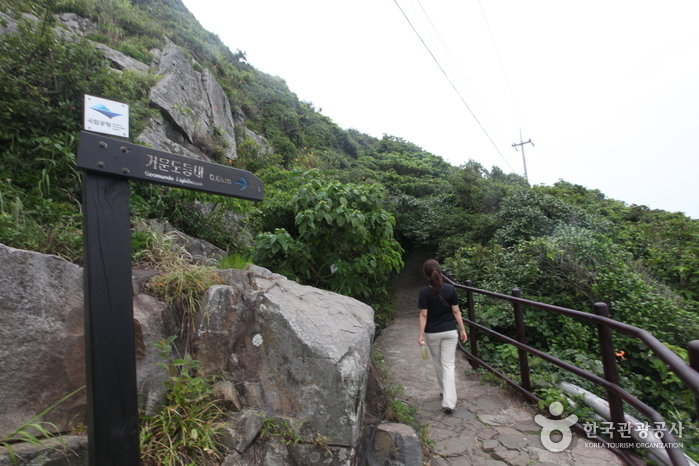 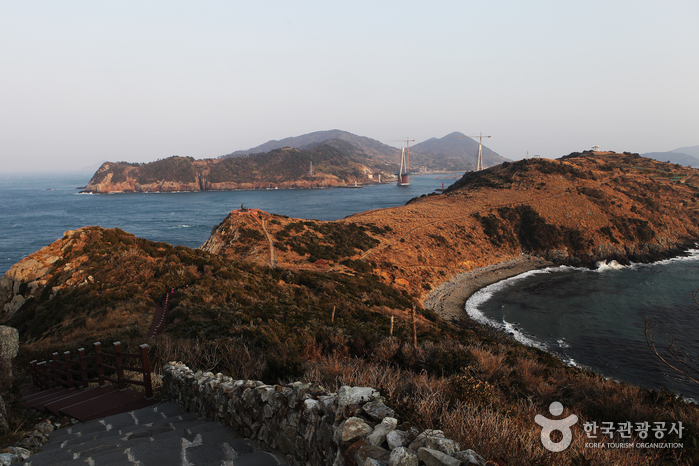 4) Godo Trail: Follow the trail behind the main Godo village to arrive at Hwayangbong Peak on Godo Island. 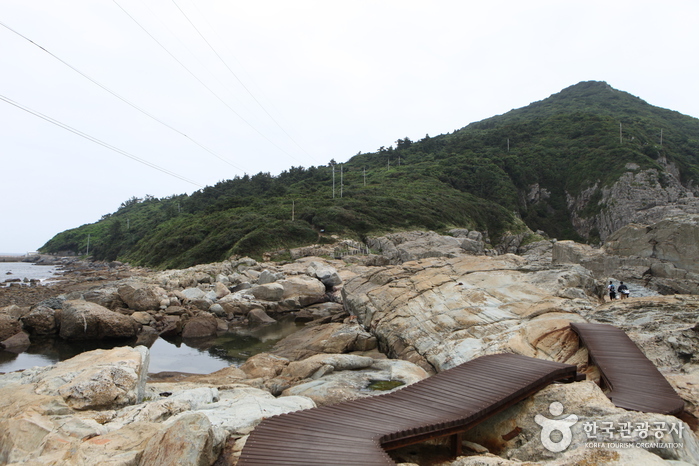 The trail also leads east towards the dock. 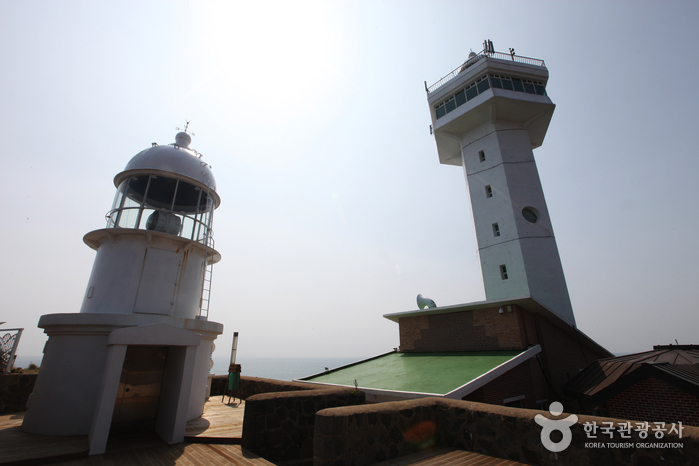 * Most of Geomundo’s facilities are located at Godo Island. 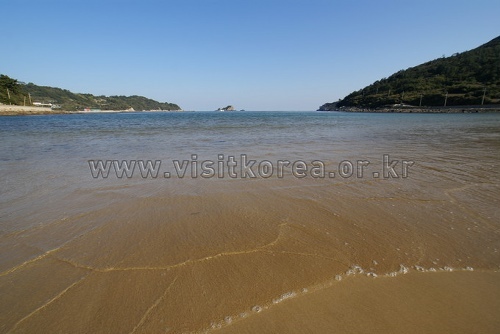 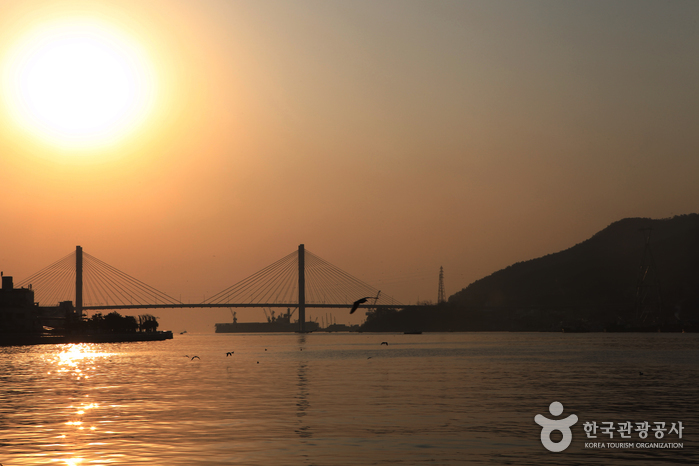 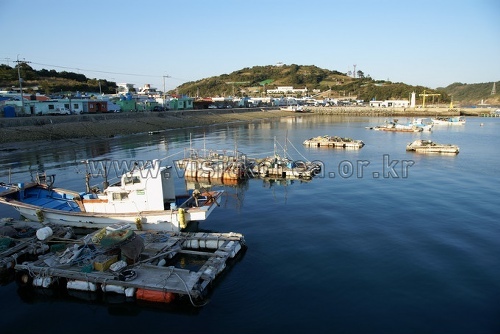 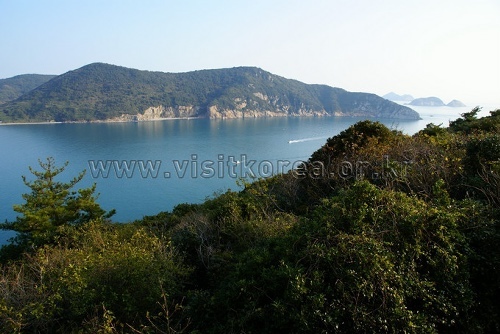 Take a passenger ferry bound for Geomundo Island from Yeosu Ferry Terminal**. 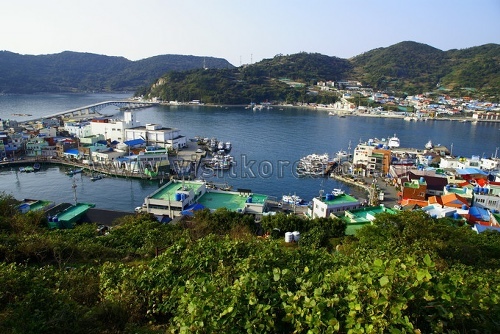 Take an express bus to Yeosu Intercity Bus Terminal. 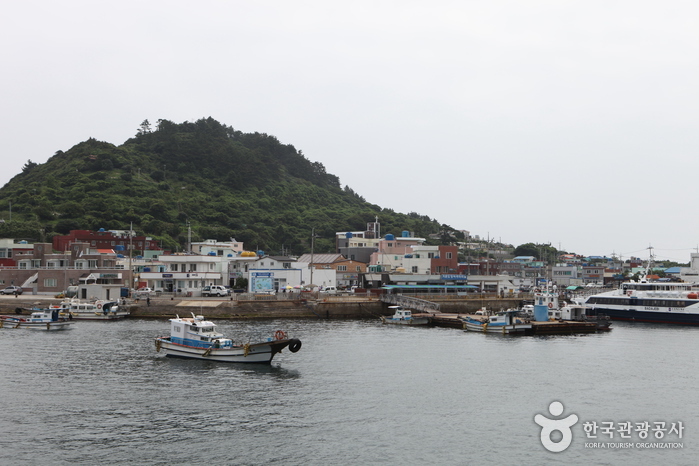 Take a taxi from the Bus Terminal to Yeosu Ferry Terminal. 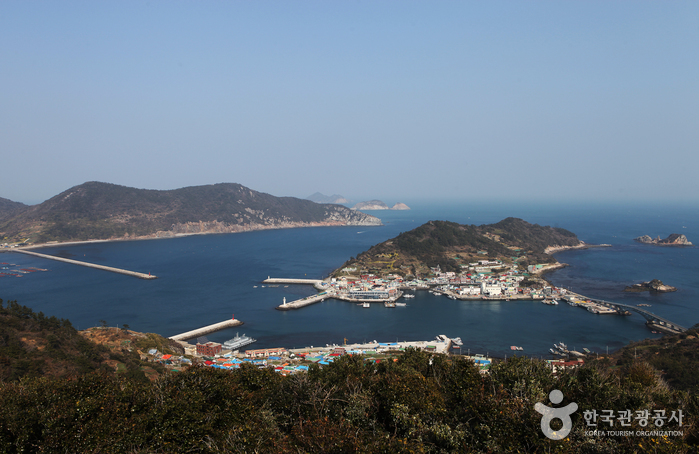 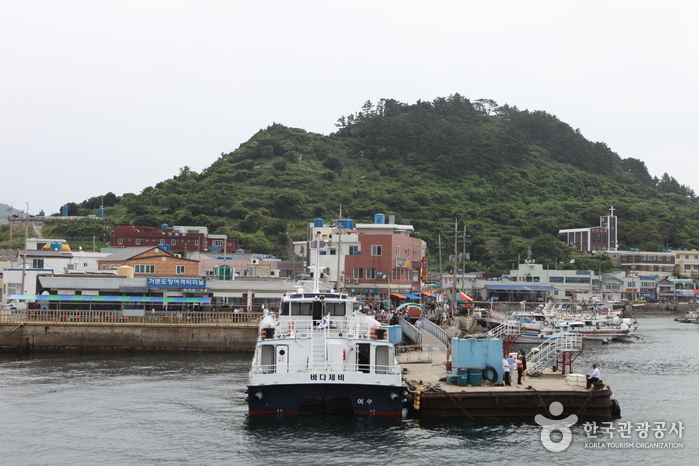 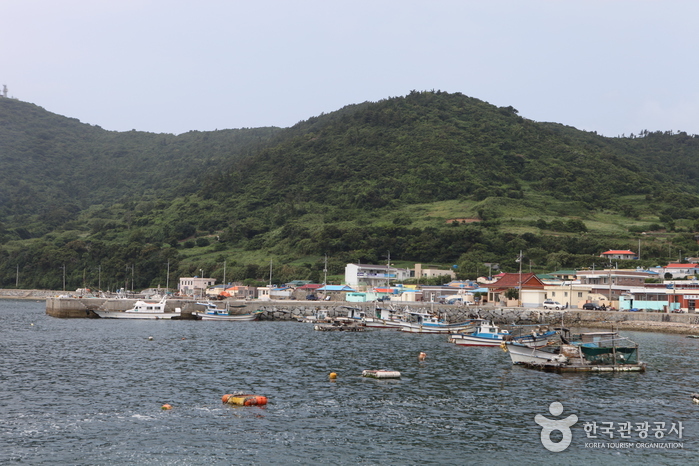 Take a passenger ferry from Geomundo Island to Yeosu Ferry Terminal. 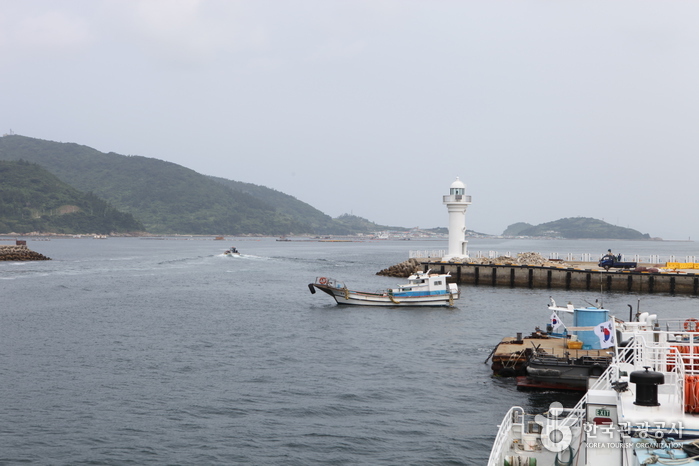 ※ Ferry schedule is subject to change, depending on the season and weather conditions. 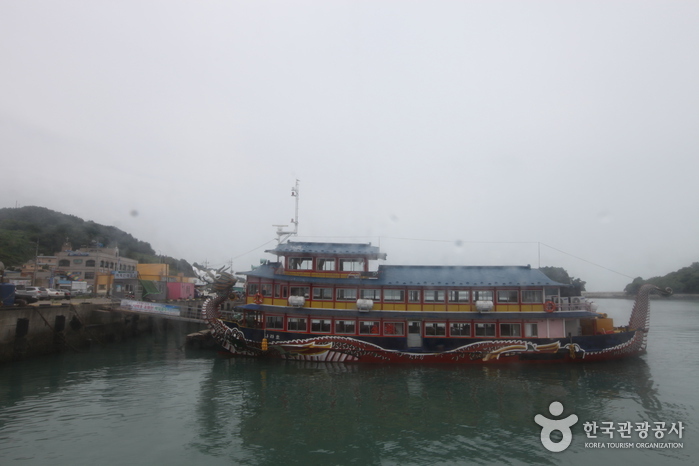 Bus: There is no local bus service on any of Geomundo's islands. 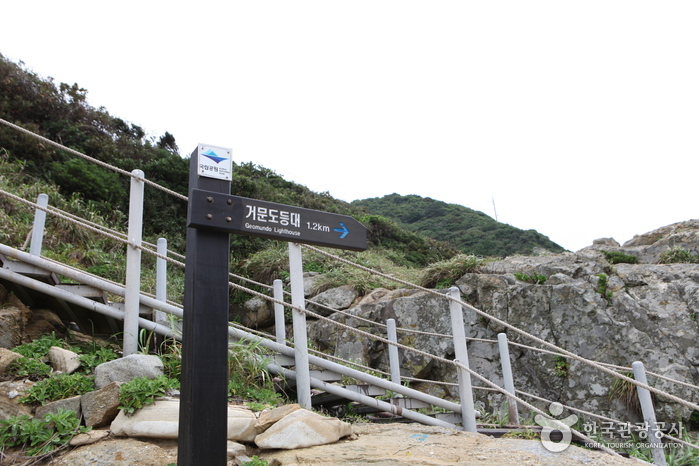 Hitchhiking is acceptable. 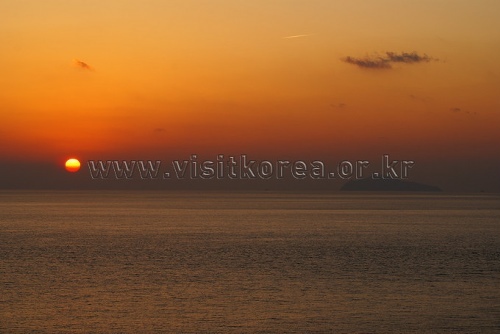 Boat: A sightseeing cruise ship leaves from Geomundo to the nearby Baekdo Island.